Are you unsure of which corrugated bitumen roofing sheets are the best choice for you? Are you uncertain of which fixings and flashings you'll need with your corrugated bitumen sheets? Speak to our team online via the live chat in the lower right hand corner or call 01295 565 565. They'll help you pick the perfect sheets for your project and will ensure you have all the roofing materials you'll need. 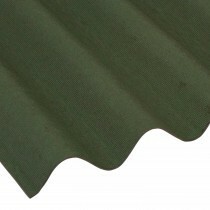 Corrugated bitumen roofing sheets are hugely popular and widely used. They are a particularly popular roofing solution for sheds, stables, garages and more. When combined with the tough corrugated form factor, the bitumen fibres used on corrugated bitumen sheets provide you with a waterproof and durable roofing solution. 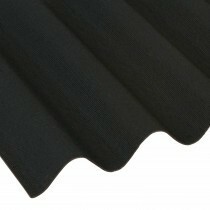 Bitumen corrugated roofing is available in a variety of thicknesses ranging from 2.6mm to 3mm. 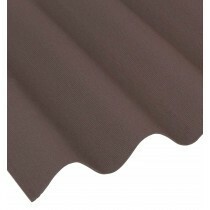 We also stock these roofing sheets in a vast selection of colours. These include black, green, red and brown. This variety of thicknesses and colours ensures you'll find the perfect bitumen roofing sheets for your project at Roofing Megastore. With our corrugated bitumen sheets being suitable on pitches between 5° and 90°, there a few roofing projects where they can not be used. To provide added assurance many of our bitumen sheets offer a guarantee of up to 15 years. We also stock a full range of compatible fixings and flashings. This helps towards ensuring your new roof is securely fitted. 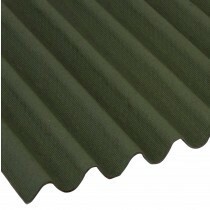 Have Questions About Our Corrugated Bitumen Roofing Sheets? If you have questions about our range of roofing sheets, speak to our team online via the live chat or call 01295 565 565. We'll help you choose the perfect corrugated bitumen sheet for your project and ensure you make great savings. With fast delivery across the UK your roofing sheets will be on your doorstep quickly too.